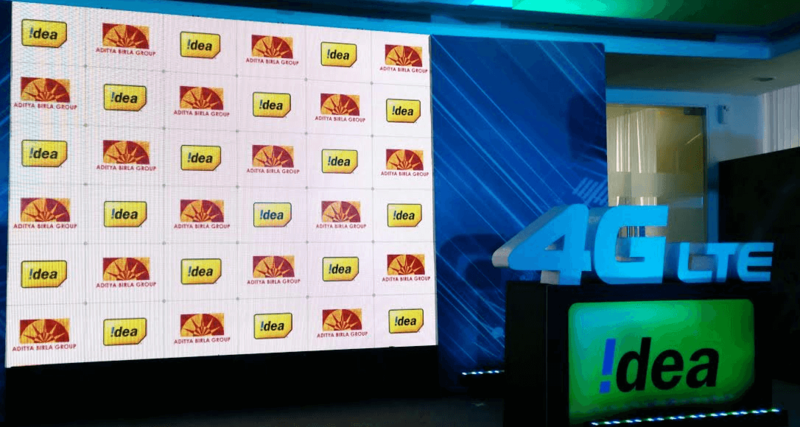 Telecom firm Idea Cellular has launched its 4G LTE services across four more states in India (three telecom circles) – Chhattisgarh, Haryana, Madhya Pradesh and Punjab, and with this, the company will now offer its 4G services across 183 towns by January 31st, 2016. The company has expanded its 4G LTE service footprint to seven telecom service areas, including the four telecom circles of South India–Andhra Pradesh and Telangana, Karnataka, Kerala and Tamil Nadu and Chennai. Major towns to be covered with Idea’s 4G LTE services at launch include the cities of Indore, Bhopal and Raipur in Madhya Pradesh and Chhattisgarh (MPCG), Chandigarh, Firozpur, Hoshiarpur, Kapurthala, Moga and Pathankot in Punjab, and Ambala, Karnal, Hissar, Panipat, Rohtak and Sonipat in Haryana. Other major towns include Gwalior, Jabalpur, Jalandhar, Muktsar, Patiala, Sangrur, Charkhidadri and Pinjore. Idea Cellular currently holds 1800 MHz 4G spectrum in these 10 telecom circles, which cover 50% of telecom market but over 60% of Idea’s gross revenues.